Valentine’s Day crafts are in full effect and I have some fun crafts lined up that are geared more for the boys 🙂 Valentine’s Day doesn’t have to be all about hearts and flowers, why not throw in some monsters?! 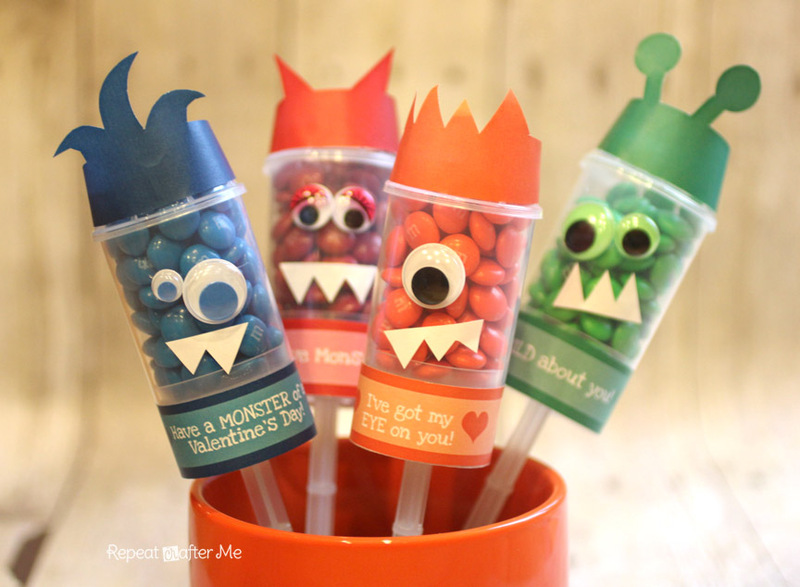 Your little guys will fall in love with these Monster Push Pop Valentines! First you will need to locate some plastic push pops. I got mine at a fantastic local party store called Fancy That. But you can also purchase them on Amazon (see link at bottom of post). Next, Fill your push pops with M & M’s. I bought a 19oz bag and separated out the colors. Print out these free printables I created (or create your own) and cut out the Valentine message and the matching horns/antennae. I used a piece of scotch tape to secure the paper to the outside of the push pop. Lastly, you will need goggly eyes and some white paper to cut out triangle teeth. I got my goggly eyes (also called wiggly eyes) from Craftprojectideas.com. I liked how the package had more than just the standard eye. Some were different colors and others had eyelashes. They really give my monsters some character! I used a small dab of hot glue to secure the eyes and paper teeth to the outside of the push pop. Now you are done!! 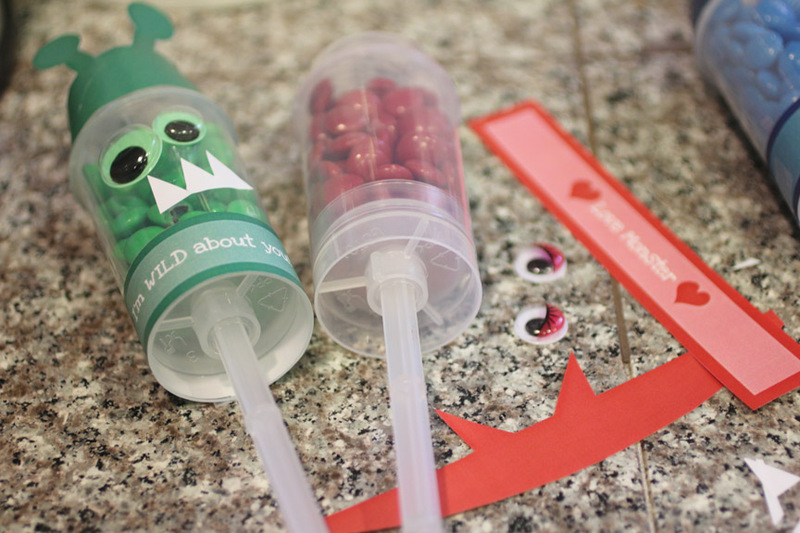 These make a great valentine for your child’s class or a fun party favor. If you want to display them, you can stick them in a block of styrofoam (I used floral styrofoam blocks) stuffed inside a bowl. Love these! Going to make these for my son's preschool class. It's always hard to find boy stuff…thank you so much for sharing! Brilliant! I think I might do up a bunch of these for my daughter's school's bake sale that's coming up 😀 Thanks! OMG! These are adorable. My fav is the one eyed guy. I am going to be checking my local party stores for some push pops. TFS!!! Wow these are absolutely fantastic!! Those are so cute! I would love if you would share them on Inspired Weekends, open through Thursday! Those are just so cute! I think they're great for anytime of the year, but I love that you're thinking outside of the box for Valentine's day! 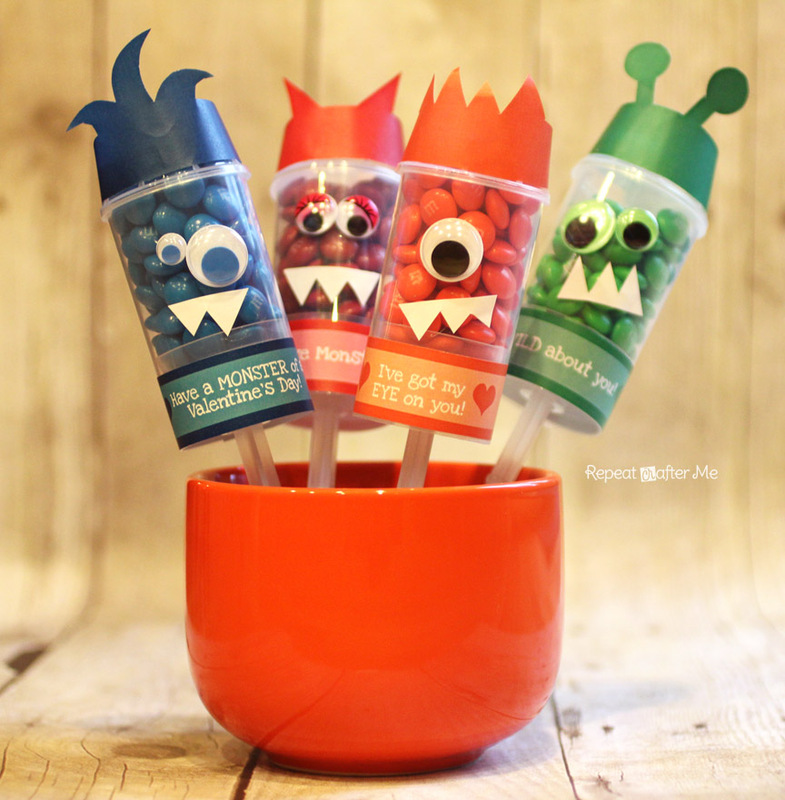 Saw these on Pinch of Joy linky party, these are great. Love new and fresh ideas for boys. I saw these on the live.laugh.rowe link party! You always have the cutest ideas! 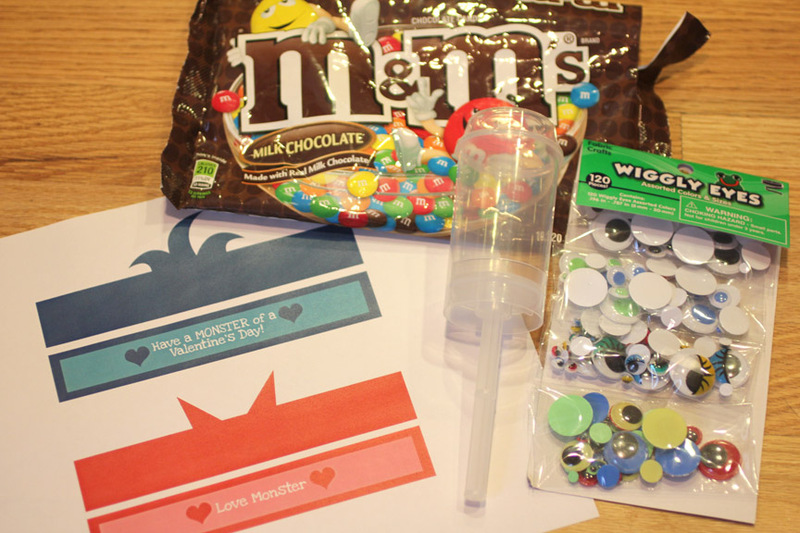 Cute and love the printables you included! It is hard to find things for boys and these are great. Pinned! Thanks so much for linking on Busy Monday! Where were you when I needed 28 Valentine or birthday treats for school? 😀 Thanks for sharing on BeColorful. Those are hilarious! My six year old will love 'em. love this idea! definitely will link over for my readers! يمكنك أن تقوم بتوفير أفضل شكل للحديقة من خلال شركة تنسيق حدائق بالمدينة المنورة فيهتمون بتنسيق السور و لهذا تستطيع الإستعانة بالسور الخشبي الموجود في الحديقة حيث أنه يكون عبارة عن سياج منفصل و بينه فراغات يمكننا أن نضع بها بعض من النباتات كما توفر شركة تنسيق حدائق عديد من الأصص السلطانية الشكل فعلى الرغم من أنها قديمة الطراز إلا أنها تعمل على إعطاء مظهر جمالي رائع و خلاب و نستطيع أيضا أن نقوم بإضافة بعض من الحصى المضغوط فهذا سيعمل على إضفاء اللمسات الجمالية التي ترغب في الحصول عليها و تختلف أذواق الأشخاص لهذا فإن شركة تنسيق حدائق حريصة على الجمع بين كافة الأذواق و جعلها ذو مظهر أكثر من رائع .